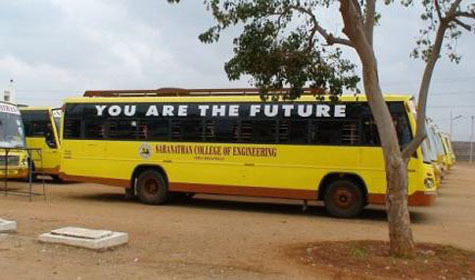 The College has a fleet of buses to facilitate the to and fro transport of students. 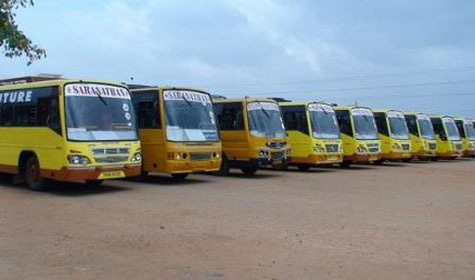 A fleet of twenty five buses are operated from different parts of the neighbouring areas to bring the students and staff to the college premises in time. In addition, a number of state owned and private town and mofussil buses ply via the college and this place is easily accessible from Tiruchi Bus stand and Railway station. The Government of Tamilnadu has arranged an exclusive bus to ply between Mainguard gate and our college, both in the morning and evening.